Join artist Effie Burns for an intimate workshop to learn the craft of cast glass jewellery making. This workshop will give you a rare chance to work in miniature and create your own cast glass jewellery, inspired by Effie Burns’ beautiful and delicate pieces which form part of our Useful/Beautiful exhibition. Your day will begin with a visit to see Effie’s works within the House, where you will have the opportunity to hear first-hand how Effie created these beautiful pieces. The day will then continue in our workshops space, where you will learn all about the techniques of glass casting. This special technique offers the opportunity to include both manmade and natural texture in your work. You will be shown how to work in wax and clay also how to mix and make a mould with plaster and molocite. 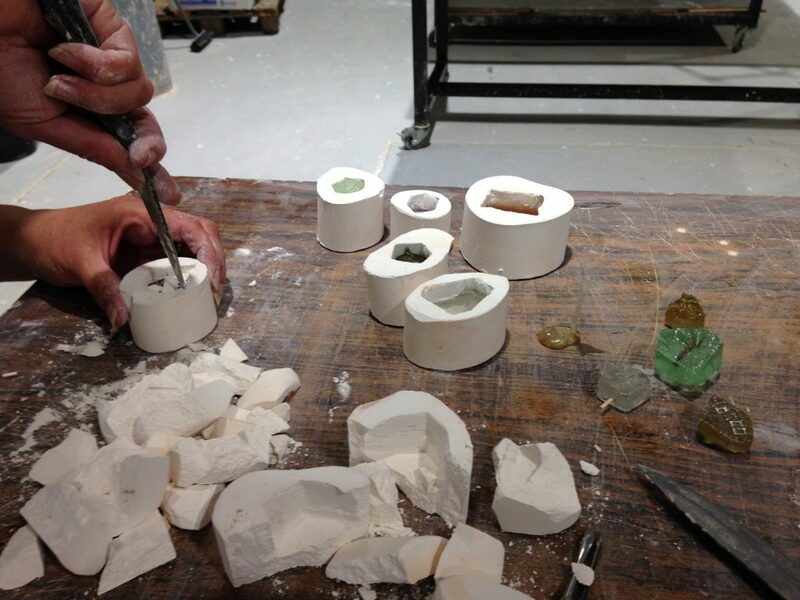 You will then be able to select from a range of different coloured crystal to cast your pieces with. Effie will then take your pieces away for casting, for you to collect after from Harewood at a later date. Please make your way to the Information Point at the top of the carpark on arrival at 11am, where a member of the Harewood Team will be there to meet you.